The ASPCA just announced that shelter killing dropped to 1.5 million last year: 670,000 dogs and 860,000 cats. 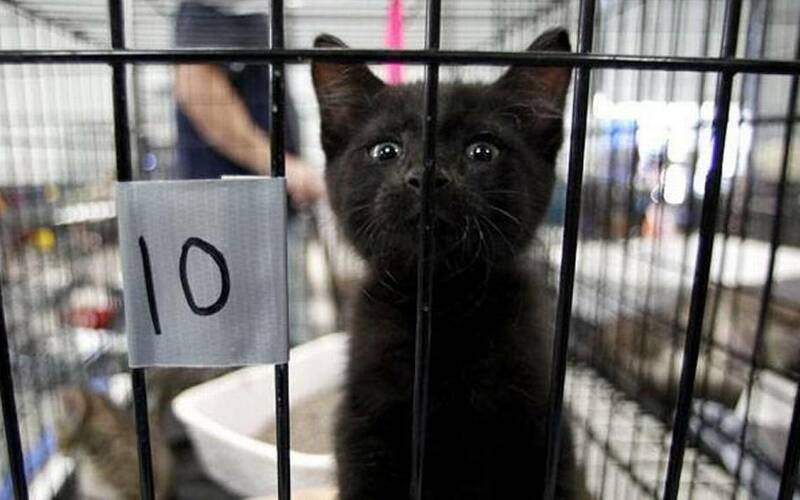 If true, that would be the first time shelter killing dropped below 1,000,000 each for both dogs and cats. And that is news we should all celebrate, a monumental milestone in the history of U.S. sheltering. But I have some concerns. First, these estimates are below even the rosy projections of breeding industry groups and those projections are based on inaccurate methods. Second, 2016 figures for most states that do mandatory reporting are not out yet so the ASPCA had to be using an incomplete data set (which, since many states don’t report, is incomplete itself). Third, if they used the “capture-recapture” method of making that determination or a small sample size, which is the only way I can think of to make those projections at this stage, they used a method that would overly project good news. Don’t get me wrong, I hope it is true. I want it to be true. But we won’t know until all the data is in — and even then we have to make assumptions for the states that do not report — and that won’t happen for another three to four months or so. It is important that we be as accurate as possible because the goal is to actually save the animals, not optimistically believe that we have. There are other concerns with the ASPCA announcement. The ASPCA says three things are driving the decline: repeal of breed discriminatory legislation, sterilization rates, and open adoptions. One program that they did not mention which should have been is the practice of shelters not taking in healthy cats/returning them to the field. If you look at communities with significant decline in cat killing, like Brevard County, Hillsborough County, and Miami-Dade County in Florida, for example, adoptions haven’t gone up much (and in some cases they have come down), but live release rates are significantly up by sterilizing and returning the cats to field. In Miami, for example, only 1,497 of the 13,000 cats they report are actually adopted, despite over 7,000 fewer cats killed. A robust adoption program would account for about 50-60% of intakes, not 11%. While there are very good reasons to do RTF — of which the most important is that cats are not killed — in some cases, adherents, like Brevard County, go too far by releasing cats who, for reasons of age or infirmity cannot take care of themselves. In other words, they have found they can achieve higher live release rates by doing less work. With the Million Cat Challenge’s announcement that participating shelters will cross the 750,000 cat threshold of returning cats to the field, rather than taking them in, this might be the most significant factor on the cat side, particularly since BSL would not apply. Most important of all is how entirely the ASPCA’s announcement ignores the role the No Kill Equation has played in increasing live-release rates. On saving90.org is a list of shelters across the nation that have achieved live release rates of 90% or above. The process of adding shelters on this site involves verifying the veracity of such claims, often first reported in the media (which often turns out to be inflated). When the data is verified, the process of verification inevitably reveals that the causes of their success are the implementation of alternatives to killing, such as foster care, medical and behavioral rehabilitation programs, working with rescue groups, and more. More often than not, a new shelter director, committed to innovation and the rejection of conventional wisdom and standard kill-oriented operational procedures, is at the heart of such dramatic turn-arounds. That is why over 50 of Michigan’s 80 sheltered counties achieved those results. Likewise, a comparative study of North Carolina shelters found that the primary factors accounting for the decline in death rates were partnerships with rescue groups, increased emphasis on adoptions including offsite adoptions, quality of the staff, marketing and public relations including use of social media, and improved operating procedures. In other words, the programs and services of the No Kill Equation. Yet conspicuously absent from the ASPCA’s analysis is any mention of the collective implementation of these programs and the powerful effect they have had nationwide on dramatically reduced death rates in shelters. Why? As one of the chief architects of the various rationalizations historically used to justify shelter killing and which defended that killing, it would require admitting that the success is borne of the efforts by shelter reformers, animal rescuers, and progressive shelter directors nationwide to overcome the ASPCA’s own powerful resistance to the innovation represented by these programs and services. For not only would an admission that success comes down to a shelter operating in direct contravention to that organization’s 100 year party-line be a devastating mea culpa, it would provide powerful ammunition to those still fighting against their core constituency–shelter directors–in those communities that are still killing, rather than caring for and rehoming, their neediest animals. It would also undermine the ASPCA’s own continued opposition to shelter reform legislation which would mandate these programs. While the ASPCA has no choice but to now admit to the success wrought by the No Kill movement, a movement a former ASPCA director once likened to a “cancer,” the organization persists in efforts to obfuscate for the American public the true cause of that success and how it can be replicated elsewhere. Yes, let’s eliminate BSL, provide reasonable adoption screening, and encourage sterilization, but to significantly reduce death rates even more, we need to reform shelters and force them by law, if need be, to embrace No Kill Equation programs. As soon as all the numbers are in, I’ll crunch and post them. In the meantime, let’s truly hope the ASPCA’s latest figures are right, because that would be a monumental milestone and mean that 1.2 million more animals went out the front door in the loving arms of families, instead of out the back door in garbage bags. But even if the ASPCA’s numbers turn out to be correct, let’s not become complacent and forget the millions of animals still needlessly dying and what it will truly take to protect their lives, too: comprehensive shelter reform.